Snake River Karters (SRK) is the directing body for asphalt kart racing in the Treasure Valley. We are a non-profit organization that is geared toward providing “A quality, member driven kart racing club, having fun and producing champions of all skill levels.” Our success is proven by how many families are involved, including second and third generation racers. 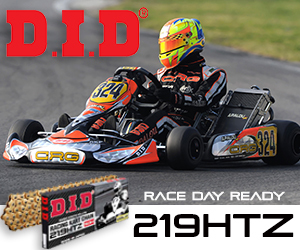 Governed by rules set forth by our sanctioning body, the International Kart Federation (IKF), races at the SRK facility promise fair, exciting and action packed events any speed junkie or race fan can appreciate! Racing at the newly re-paved Glen Morgan facility just north of Star, Idaho is “Unlike any other asphalt kart track in the Northwest”, with the ever famous ‘Hair Pin’ turn at the end of a long straight-away. Advanced level karts reach speeds in excess of 75mph and drivers frequently experience more than 2GS of lateral force in the corner. The Race track is a 1/2 mile asphalt Sprint Course that also incorporates a 1/8 mile Speedway oval in the center. Along with education in track etiquette and competition, SRK promotes a family friendly atmosphere, a sense of community amongst teams and drivers, and sportsmanship.